The OHL Trade Deadline has come and gone and some of the league’s familiar faces are thriving in new places. Here’s an overview of a few of the OHL’s big name players settling in with new teammates for the stretch drive toward the 2019 OHL Playoffs. 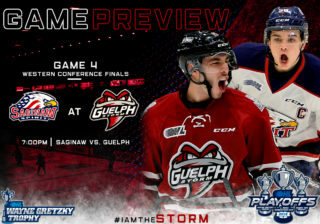 Nick Suzuki racked up eight points (1-7–8) including an overtime winner in his first three games as a member of the Guelph Storm, stepping up as a central figure on the club’s five-point weekend. 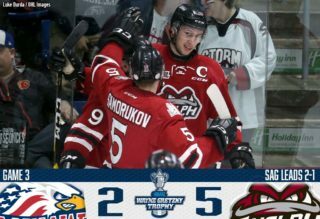 The Storm defeated the Central Division-leading Niagara IceDogs 6-5 on Suzuki’s game winner, earned a point in a 4-3 overtime loss to the Kitchener Rangers and defeated the league-leading Ottawa 67’s 8-4 at home on Sunday. 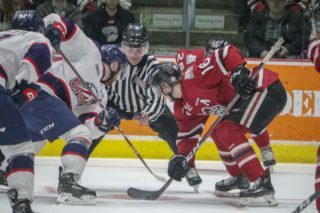 Durzi played a part as well, recording six points (2-4–6) over three contests while Guelph’s other Owen Sound additions in Markus Phillips and Zachary Roberts saw plenty of ice. Additionally, recent Canadian National Junior team member MacKenzie Entwistle has settled into his new surroundings with six points (2-4–6) through his first five games in the Royal City. Newly acquired OHL champion Brandon Saigeon scored three times in as many games, helping guide the Oshawa Generals to a 3-0 weekend as they hold down third place in the Eastern Conference. Saigeon’s fellow former Hamilton Bulldogs teammate Nicolas Mattinen had three assists over the weekend while 19-year-old centreman Brett Neumann (3-1–4) has four points through his first four games since coming over from the Kingston Frontenacs. Midseason overage addition Anthony Salinitri (29-24–53) has also paid big dividends for head coach Greg Walters’ club, recording 25 points (15-10–25) in his 18 games since joining the club in late November. Salinitri currently leads the league with seven shorthanded goals this season, bringing his career total to 14 over 288 regular season contests. For those departing the Oshawa Generals, their first weekend in new surroundings wasn’t quite as successful but did result in a pair of goals. Boston Bruins prospect Jack Studnicka scored his first goal as a member of the Niagara IceDogs in Friday’s 6-3 win over the Kingston Frontenacs. The 19-year-old from Tecumseh, Ont. recently represented Canada at the 2019 IIHF World Junior Hockey Championship. Overage defender Matt Brassard also had a goal along with three assists over three games as the IceDogs went 1-1-1-0. The additions of Studnicka and Brassard give the IceDogs a total of nine NHL prospects on their roster. Jack (@JStudnicka23) has arrive and will be dressed tomorrow vs @Storm_City! 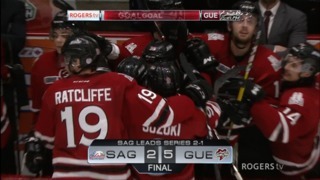 The weekend started with a bang as the CHL’s third-ranked Ottawa 67’s scored a lopsided 10-2 victory in Sarnia. Newly added overage forward Lucas Chiodo had a goal and an assist in that win before things got tougher from there. The 67’s fell 5-3 to the London Knights in last weekend’s edition of the Sportsnet CHL Saturday Showcase before suffering an 8-4 loss at the hands of the Guelph Storm on Sunday. Kyle Maksimovich, who recently wrapped up his Erie Otters tenure with the fifth-most points in franchise history, had a goal and an assist to his credit. The Barber Poles look to return to their winning ways on home ice this weekend playing host to Peterborough on Friday and Hamilton on Saturday. 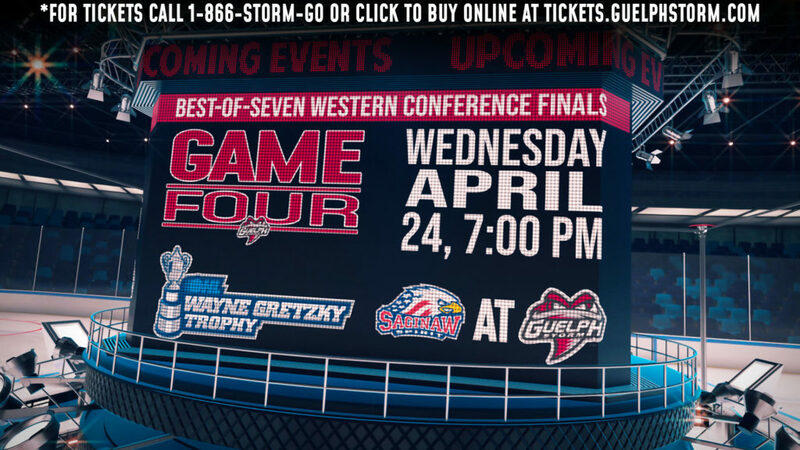 The Saginaw Spirit continue their pursuit of a West Division title, sitting three points back of the first place Soo Greyhounds entering a weekend featuring back-to-back home games against Erie on Saturday and Windsor on Sunday. Newcomers Ryan McLeod and Owen Tippett have provided head coach Chris Lazary with added depth up front as McLeod has six points (2-4–6) and a plus-8 rating over five contests while Florida Panthers prospect Tippett has five (2-3–5). The Spirit have won four of their five contests since the two came over from Mississauga. “We don’t acquire guys like Ryan McLeod to get to the second round, we bring in guys like that to try and win a championship,” Spirit general manager Dave Drinkill said following the acquisition of McLeod. McLeod and Tippett will no-doubt improve Saginaw’s sixth-ranked power play. Both players won an Eastern Conference Championship with the Steelheads in 2017. Kevin Hancock has long been known as one of the OHL’s premier faceoff men. The overage veteran has won 72 of his 99 faceoffs since joining the London Knights and helped the team skate to a 3-0 weekend with wins over Saginaw, Ottawa and Kitchener. Hancock, who is still in the hunt for a professional contract, has eight points (3-5–8) over his first five games with London and recently surpassed the 100-goal milestone on his OHL career. The Knights also made another prominent recent acquisition in former Barrie Colts blueliner Joey Keane. The New York Rangers prospect has 10 points (2-8–10) through his first nine games in green. The Sudbury Wolves put an end to their recent seven-game slide as the return of star goaltender Ukko-Pekka Luukkonen spearheaded a perfect 3-0 weekend with wins over divisional foes Barrie, Mississauga and Niagara. Sudbury’s biggest addition and new top scorer, Calgary Flames prospect Adam Ruzicka, put up three points including a pair of goals in the three victories. The 19-year-old recently represented Slovakia at the 2019 IIHF World Junior Hockey Championship. 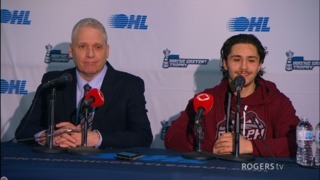 Fellow 19-year-old Anthony DeMeo also joined the Wolves coming from the northern rival Sault Ste. Marie Greyhounds. DeMeo, who entered the weekend with three points on the season, picked up a pair of assists over the weekend before scoring the second goal of his OHL career in Wednesday’s 5-0 win over North Bay.